“Use of the electron microscope in discovering hidden secrets of cotton fiber will be revealed at a meeting of Naval Research Company 8-1 Tuesday at 7:30 at Southern Research Laboratory, 2100 Robert E. Lee. Verne Tripp, cellulose chemist at the laboratory, will be the speaker at the meeting” read an announcement in the Times-Picayune on August 11, 1957. At that time only four 1200-pound $19,500 electron microscopes were in use in New Orleans .-- at Verne Tripp's lab, at Charity Hospital, and at the medical schools of Tulane and Louisiana State universities and few people, other than Tripp, knew how to use them. He had given a presentation at Charity Hospital on “Medical Possibilities of the Electron Microscope” in 1951 so he was well versed in the field. Verne Tripp graduated from Loyola University, where he was on the deans list, in 1939. After completing a teaching fellowship at the University of Detroit he began working at the lab in 1942. In 1949, with his wife Rita Council, Leon Segal, and Carl M. Conrad he wrote “Determination of Cellulose by Acid-Dichromate Oxidation”. Some ten years after our local scientists began puzzling out the mysteries of cotton the first advertisement for wash 'n wear appeared in the Times-Picayune (1953). A decade after that (1964) Tripp received the highest citation of the United States Department of Agriculture – the Distinguished Service Award in honor of “contributions to the development and improvement of wash-wear cotton fabrics and thus the welfare of the cotton industry”. Fellow Southern Regional scientists Dr. Ruth R. Benerito and Lawrence W. Mazzeno Jr. also shared the award. The USDA noted that an estimated 45 million yards of cotton fabrics were being produced weekly in the nation utilizing either directly of indirectly the laboratory's wash-wear developments. From Legendary Locals of Metairie by Catherine Campanella. Musician Thomas Herman Ridgley (known as Tommy Ridgley) was born on October 30, 1925. He released his debut single "Shrewsbury Blues" in New Orleans in 1949 for Imperial Records. In the 1950s he formed his group the Untouchables, and recorded for labels such as Decca, Atlantic and Herald. His 1952 release "Tra-La-La" on Decca was later covered and made famous by Pat Boone. In the 1960s he signed with the local Ric Records, and released some singles which were to become local hits, but none of them broke through to create a stir nationally. These sides included "Double-Eyed Whammy" and "I've Heard That Story Before", a remake of the song first recorded for Herald. During the 1970s and 1980s, there were fewer recording opportunities for Ridgley, however, he continued to record for local labels, and continued to perform. He kept performing at the New Orleans Jazz & Heritage Festival every year from 1972 until his death. In the 1990s, he released three newly recorded albums. How Long? came out on the Sound of New Orleans label in 1990, and She Turns Me On followed two years later on Modern Blues Recordings. He was supported by musicians such as George Porter, Jr. and Raymond Weber on 1995 album Since The Blues Began from Black Top Records. It also featured guest guitarist Snooks Eaglin and turned out to be one of the most solid efforts in his career, but this became his last recorded album. He suffered from kidney failure in his last few years, and died from lung cancer on August 11, 1999. New Orleans singer, Sammy Ridgley is his younger brother. The 1929 vintage bridge carrying Highway 90 over Chef Menteur Pass was repaired and re-opened to traffic on August 11, 2006 after it had been closed due to Hurricane Katrina damage. Meanwhile the modern I-10 Twin Span (now Frank Davis bridge) was in need of a complete rebuild. The Orpheum Theater, built in 1918 at 125--129 University Place, was added to the National Register of Historic Places on August 11, 1982. On August 11, 1971, construction work began on the Louisiana Superdome as pile-driving was begun. Stadium bonds were also first sold that day. Several WPA photographs captioned "Ground improvements to the U.S. Department of Agriculture's laboratory are well underway by WPA. These negatives show WPA workmen grading and filling a portion of the forty acre site and the roadway already under construction which has an eighteen inch sand fill to be topped with six inches of shell and two inches of asphalt), August 11, 1941. During the 1950s, Prema-Press cotton was developed here. 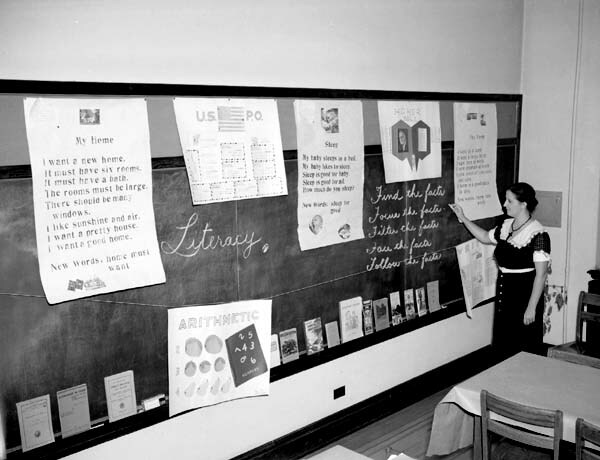 WPA photo of "Display room during WPA educational classes for teachers held at Rabouin School on Carondelet Street", August 11, 1938. Several WPA photos of the beginning of construction of the Fountain of the Winds by the WPA as part of the general beautification at the Lakefront airport, August 11, 1937. Storm conditions battered New Orleans, Louisiana, on August 11, 1860 with winds of up to roughly 50 mph (80 km/h) and heavy rainfall. The hurricane wrought a great deal of damage throughout southeastern Louisiana. 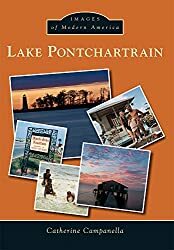 At least 35 to 40 people drowned when a low-lying community at the eastern end of Lake Pontchartrain was inundated with flood waters up to a depth of 12 feet (3.7 m), a result of intense and persistent winds generating a significant storm surge. It was reported that in the town "there is hardly a house remaining". A railroad wharf near the lake was largely destroyed, and another settlement called Milneburg was flooded; residents were rescued by boat.